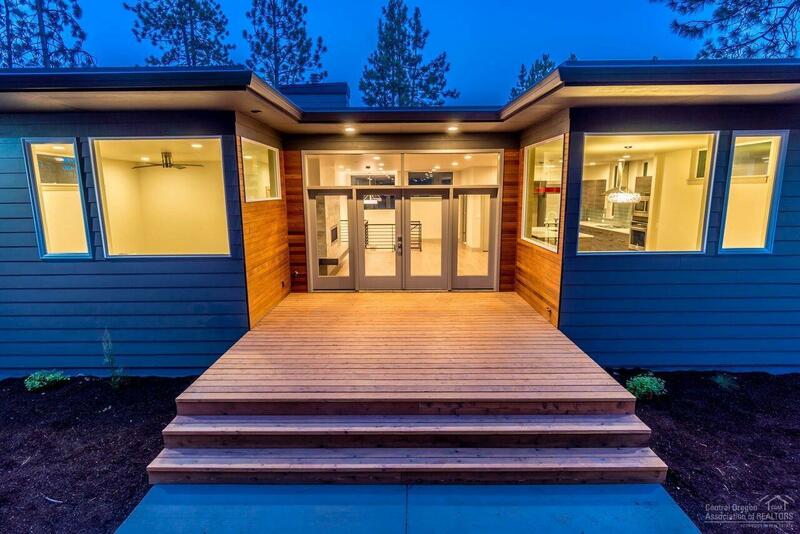 Striking mid-century modern, newly constructed home in fabulous West end location! 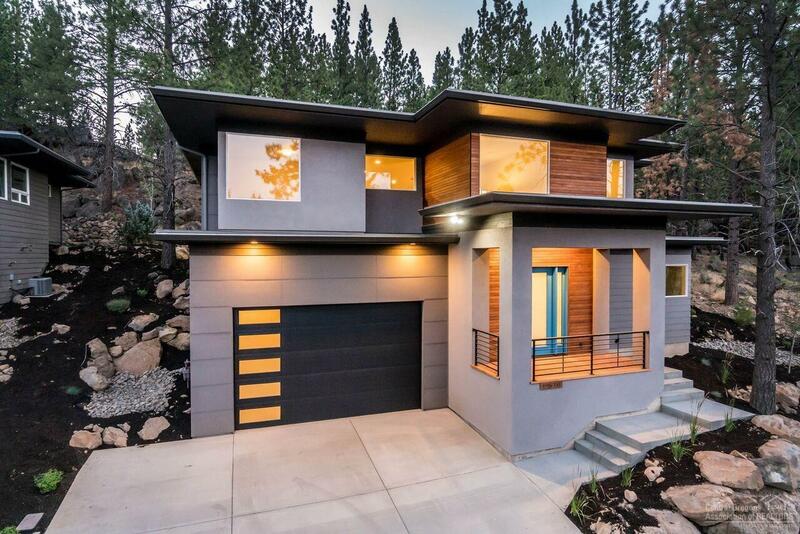 Sits high above Century Drive amongst the rimrock and Pine trees, easy access to Mt. Bachelor and Phil's Trail! 9 ft ceilings with huge windows that take in beautiful private views and light. Main level has 3 bedrooms, 1 bath and mudroom. Upper level has Great Room, Master Suite with soaking tub/separate shower+walk-in closet, large office, laundry room. 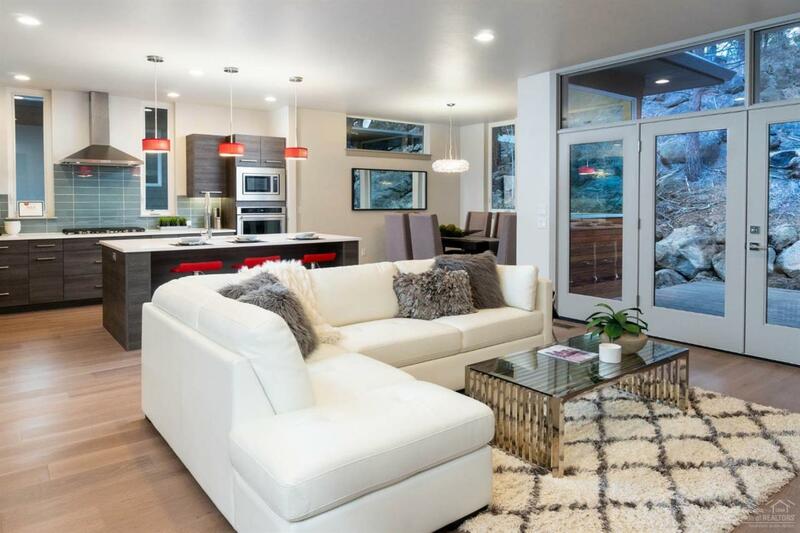 High-end finishes include engineered hardwood, shining concrete floors, quartz countertops, Chefs kitchen with 5 burner 36 inch gas cooktop and step-in pantry, modern gas fireplace in living room with floating hearth. 3-car tandem garage with 10 ft door and large storage room perfect for wine cellar! 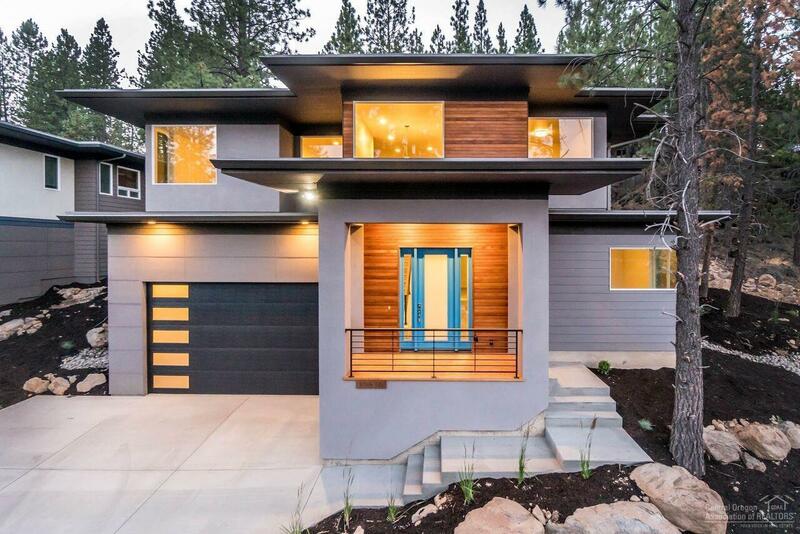 This home is Earth Advantage Certified for optimal energy conservation. Please be sure to click on Virtual Media for a complete video tour of the home!